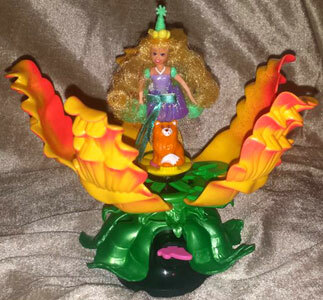 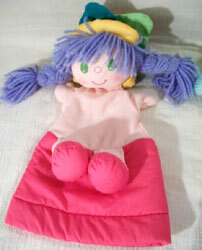 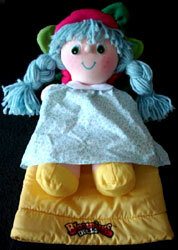 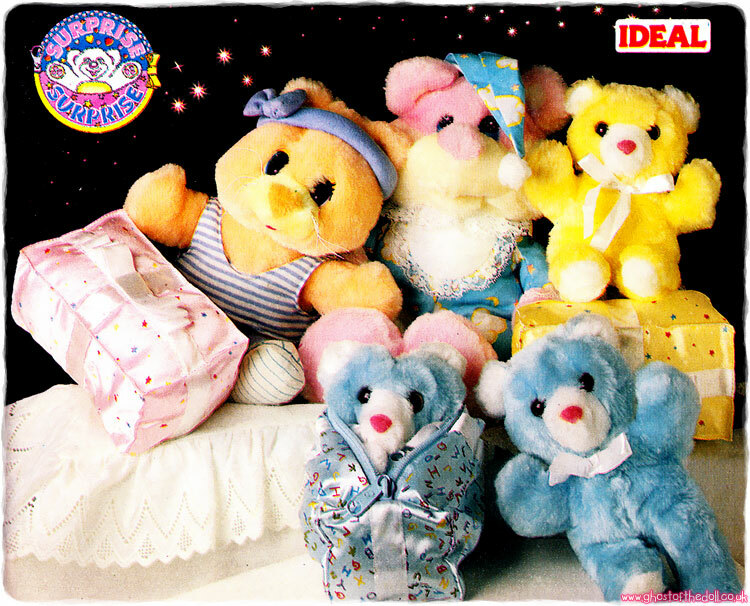 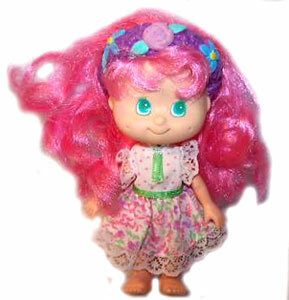 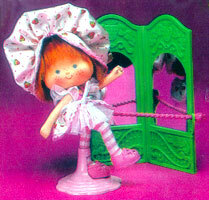 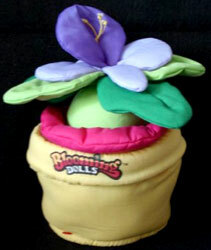 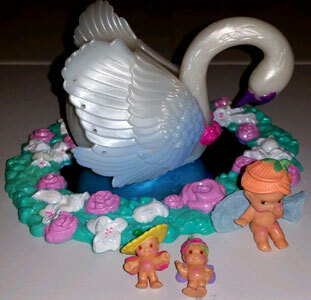 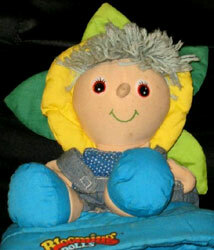 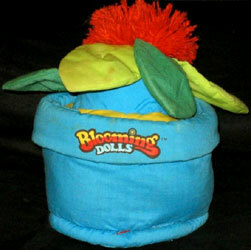 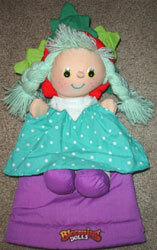 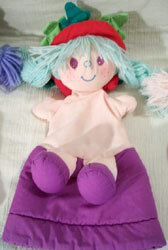 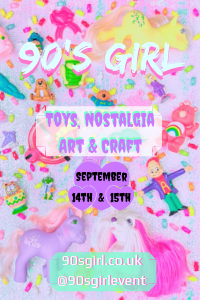 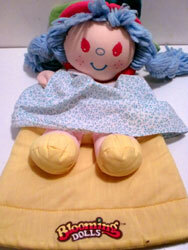 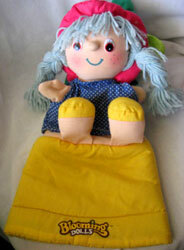 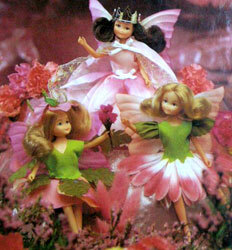 Blooming Dolls were produced by CapToys in 1987. 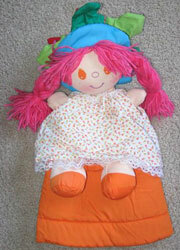 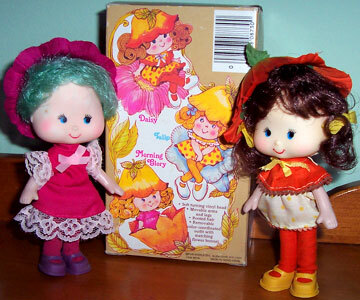 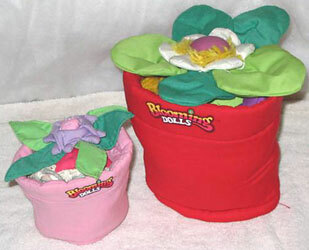 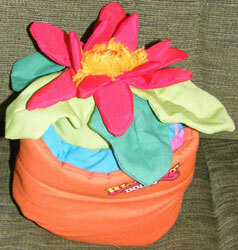 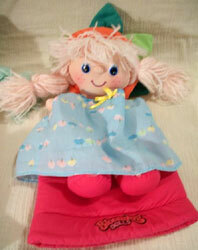 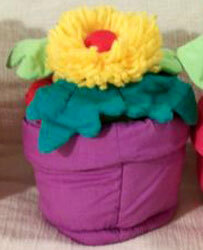 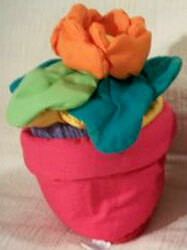 They were a small series of cloth dolls attached to a fabric sleeve so they could be used as puppets, and when turned inside out (much like Popples) would turn into a flower pot. 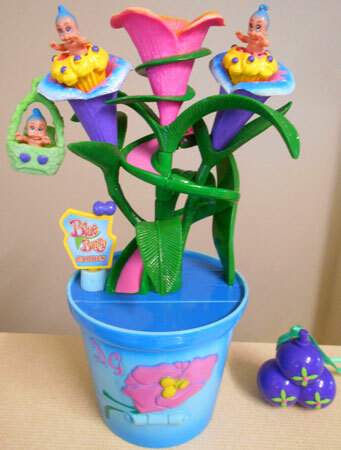 They were CapToys first product, which sold so badly it almost caused the company to flop. 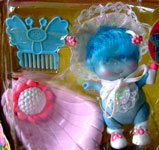 Images on this page thanks to Ballary's Bargains and eBay sellers INFINATE-ITEMS-INC , nick_baker1 , AN-INTERESTING-SHOP-BY-LOOPYLOOBITS , allie490_4 , Mini-Robot-Shop , My-3-babys-plus-me , bluesky7510 , Toys-From-The-Attic-4-U , collectibles and vintage toys etc and Fifi's Fleamarket ! 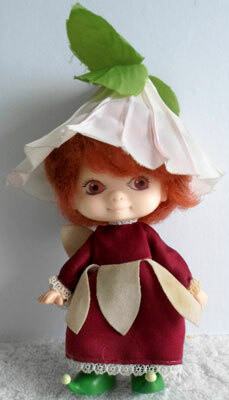 View all Blooming Dolls on eBay.com or eBay.co.uk ! 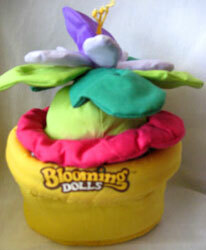 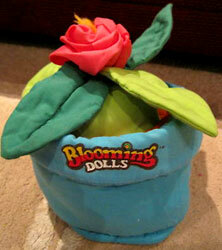 I have so far found twelve different Blooming Dolls. 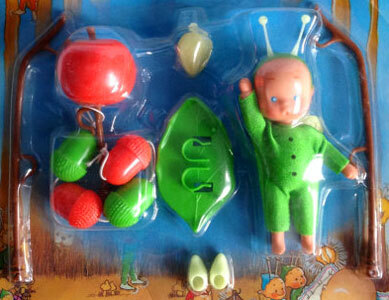 There appear to be some made with plastic eyes and some with printed eyes. 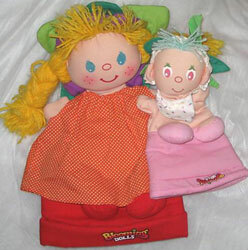 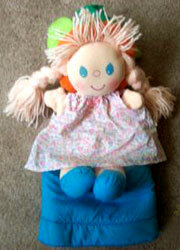 They also came in two sizes (girl dolls and baby dolls). 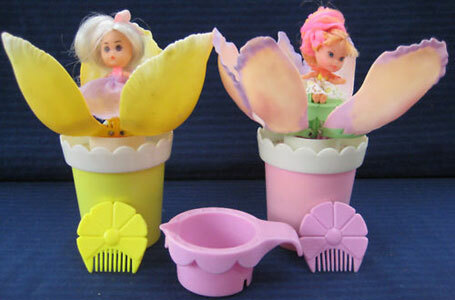 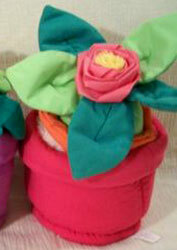 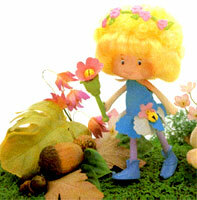 The larger dolls were about 15 inches high and when flower pots about 8 inches high. 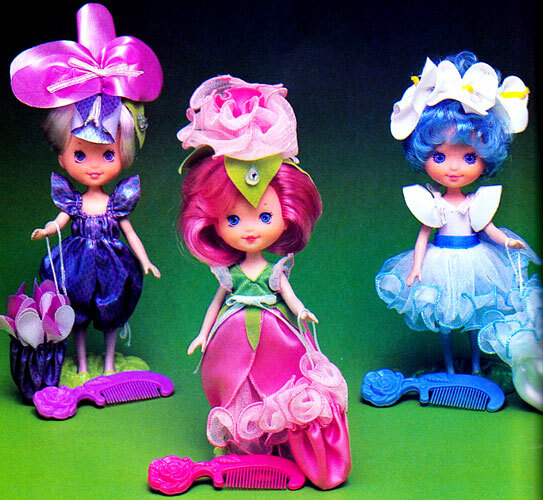 Their dresses were removable.